CQR Kandla/Mundra successfully complete the shipping of promotional car, digital display boards, and other materials for the 2017 cricket series in Sri Lanka. 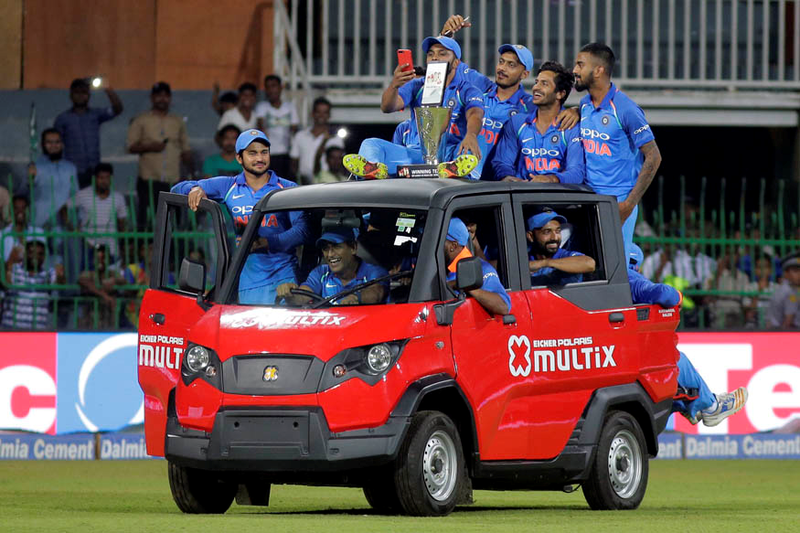 This summer, CQR Kandla/Mundra – APG LOGISTICS, handdled the perfect setting for the Indian national cricket team’s victory over Sri Lanka by moving a car (used for the team victory lap amongst other things), numerous large digital display boards and other materials for the 40-day tournament, which took place in various locations across Sri Lanka. These heavy and bulky materials were delivered seamlessly and on-time as APG who, as always, paid attention to every detail of the task and routed the freight in the most efficient way. All materials were packed securely, to pre-empt any accidental damage before being transported by air to ensure the fastest possible delivery, without any hold-ups. This is not the first time APG have dealt with cargo for high profile sporting events, most noteably in cricket and football, as they are the strategic logistics partner for many top flight sports organisations. They are currently working with English Premier League side Huddersfield Town, by shipping materials by air to their stadium for the 2017/18 season. The company undertakes a vital role in the supply chain for these organisations, making sure essential cargo needed for the tournaments reaches its venue ahead of time! Here’s to CQR Kandla/Mundra’ champion service!